Rubber channels keep window glass from rattling and seal out wind, weather, and water. Learn how to select rubber channels for your application, and how custom channels are fabricated from standard rubber profiles. 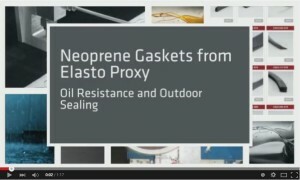 Neoprene gaskets are made of oil-resistant elastomers that also provide weather resistance and environmental sealing. Learn more about neoprene rubber’s applications and advantages, and how finished neoprene gaskets are custom-fabricated from standard neoprene profiles. 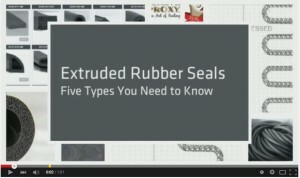 Extruded rubber seals support complex cross-sections and a smooth surface finish. They include bulb, bulb trim, lip, door, and accordion seals. 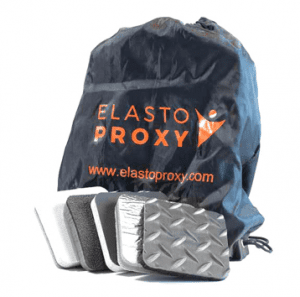 You’ll find all five types in Elasto Proxy’s catalog, along with many other rubber extrusions that are ready for custom fabrication. 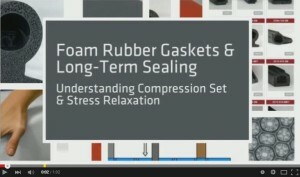 Effective long-term sealing with foam rubber gaskets is a function of compression set and stress relaxation. Learn what these material properties are, why they matter, and how to select the right sponge profiles for custom gaskets under compressive loads. Then, download the Sealing Essentials Guide. Foam rubber gaskets provide reliable sealing, cushioning, and insulation in a variety of applications. Products designers and technical buyers can choose sponge profiles made from many different types of foam, and compound selection can be a complex task. In addition to material properties and compliance with industry or regulatory standards, there are many other factors to consider. For example, long-term sealing under constant compression is required for some industrial applications. Let’s take a look at two material properties, compression set and stress relaxation, which you may need to consider carefully when choosing foam rubber gaskets for compressive loads. We’ll also look at some common foam rubber materials. 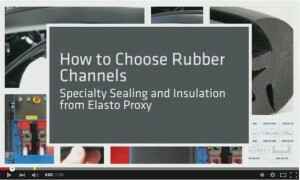 Elasto Proxy isn’t a rubber compounder, but we want you to understand how the rubber that’s used in the sponge profiles you ask us to custom-fabricate can affect long-term sealing performance. We keep hundreds of foam rubber profiles in stock, but which one is right for you?